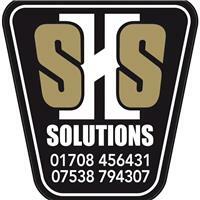 Safe House Security Solutions - Alarms/Security based in Hornchurch, Essex. Safe House Security supplies and installs domestic and commercial intruder alarms and high definition CCTV systems for both domestic and commercial applications. We provide a balance of competitively low prices with the highest quality alarm and camera systems on the market, with a clean reliable service and excellent after sales care. We also supply and install many other security products such as 'Ring Doorbell' and security lighting systems. Call us for a free security assessment on your property and a no obligation quote. Elm Park, Emerson Park, Gidea Park, Hornchurch, Rainham, Romford, Upminster, Witham Essex, Harold Hill, Harold Wood, Billericay, Waltham cross, Waltham abbeyBenfleet, Brentwood, Bulphan, Chelmsford.